Singer/songwriter Jeremy Camp has been recording albums for over 10 years. This guy has been producing album after album of quality music that has grown a strong fan base for him. Jeremy has recorded live albums, Christmas albums, worship projects and of course his own stuff. Now Jeremy is back with more of that 'own stuff' in his latest album titled 'Reckless'. Read More Singer/songwriter Jeremy Camp has been recording albums for over 10 years. This guy has been producing album after album of quality music that has grown a strong fan base for him. Starting off with a piano, which sounds like it's playing an Adele song, opening title track 'Reckless' doesn't remain as a ballad for long, but keeps the piano riff going throughout the whole song. The drums bang with a steady beat for this pleasant opening number that really grew on me the more I listened. Jeremy has this really rich and deep vocal that is evident through the whole of the album. His voice sounds a little bit like a mix between Mac Powell and Nickleback frontman Chad Kroeger. This sound suits tracks like 'The Way You Love Me' and 'Free'. Paradise is another very enjoyable tune. This song has everything you want from a song, great lyrics, great beat and a catchy melody. The same could be said for the track We Must Remember which has some great guitar work at the start. This easy listening track slowly builds into a great out and out rock worship song. There are many tracks on this album that are solid tunes with great melodies but does the album push the boundaries of music to a new level? Not really. But I don't necessarily think that's the point. This album tends to be more about questions of where Jeremy is at the moment. I really think the beauty of this album is the themes of the songs. Tracks like 'Come Alive' and 'My God' are solid numbers that stand out with their catchy edge and I'm sure these tracks will become fan favorites in the live setting. Jeremy has produced another solid album, with some great songs that his fans will really get into. You can't deny the structural quality of the album. Lyrically there are some amazing truths coming out of the songs. Jeremy's vocals sound as good as I have heard them, and the production of the album is, as you would expect, very, very good. 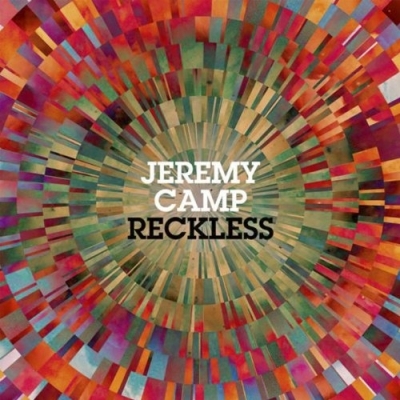 If you're looking for a solid album and are a fan of Jeremy's work then 'Reckless' is definitely for you.